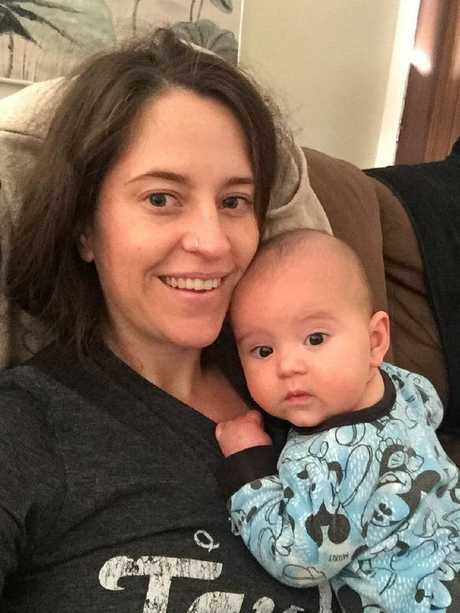 Musician Nicky Convine with her 9 month old baby River Bennett. A GOLD Coast mother was slapped with a $78 parking fine while breastfeeding her baby in the back of the car. And it took two months and going to the media to have it overturned by Gold Coast City Council. 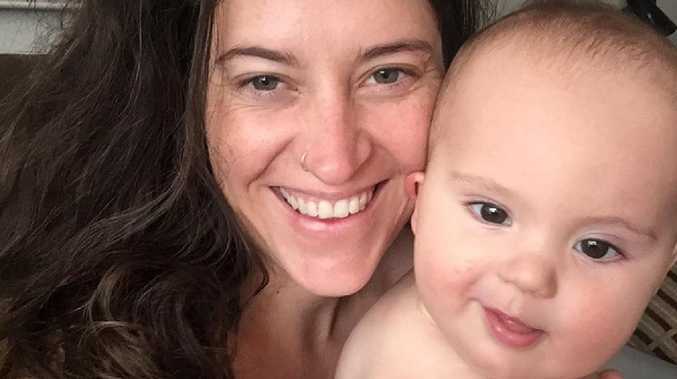 Musician Nicky Convine says she was on her way back from Casino in northern NSW, on September 30, when her nine-month-old baby, River, became distressed in the back seat. The Miami woman pulled over into what turned out to be a metered bay on Connor St, Burleigh Heads, and got into the back to feed her screaming boy. She says within 10 minutes a parking inspector had put a $78 fine on her windshield - while she was inside the car breastfeeding. "We were almost home and he was inconsolable, it's painful for me to hear my baby crying when he needs me," Mrs Convine said. "You do whatever you can, your mother's instinct kicks in. "I pulled over where I could and it was raining at the time so I just jumped straight in the back to soothe my baby. Finding a ticket on your windshield is never a fun time, but especially when it’s not your fault. 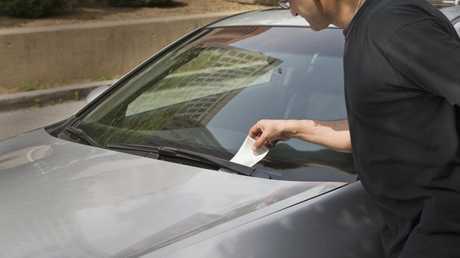 "I didn't see anyone around until the ticket went under my wiper. "I had to jump out and he seemed really apologetic but said he couldn't reverse it and I would have to appeal. "He seemed so understanding so I thought it would be an easy thing to do." Two days later, Mrs Convine emailed council explaining the situation. On Wednesday, she received a response saying that her appeal had been denied because her case did not fit within the policy guidelines. The council Penalty Infringement Notice (PIN) Review Policy states that one ground for request is "the affected person was unable to comply with the relevant provisions of the law due to a circumstance outside of their control". 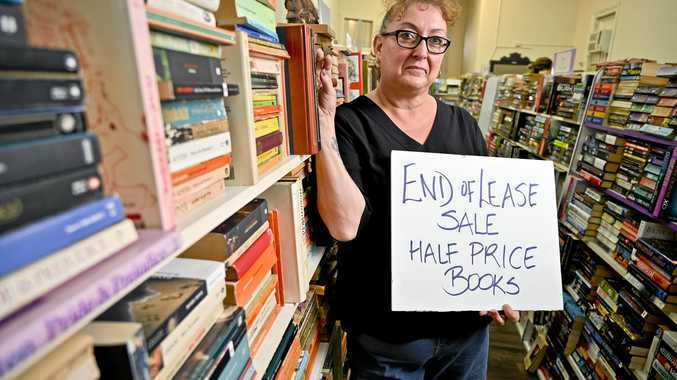 "It would be nice if there was some kind of compassionate human connection when it comes to the emails," Mrs Convine said. "It would be nice to know who's receiving these responses, who's making the decisions at the end of the day. How many people are in the office? "Since it happened, I've heard of so many people in tough situations who have been stung as well. "I think it's a real problem. It's only $78 but it's not the money, it's the principle." Today a council spokesman told the Bulletin while they stood by their decision to administer the fine, they had now withdrawn the it on "compassionate grounds".